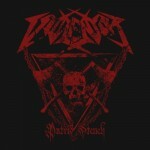 LADY BEAST "Metal Immortal" EP/CD finally OUT !!! VERY IMPORTANT - PLEASE READ !!!! 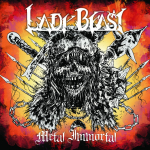 LADY BEAST "Metal Immortal" EP/CD finally OUT ! Right on time for Halloween !!! YES, that's REALITY ! Now you can order the new LADY BEAST EP/CD from our e-shop !!! !